At Nitro Crew, we are all about asking the right questions to guide you into the best 4WD tyre to suit the conditions you drive in, and the expectations you desire from the tyres you choose. Everyone uses their 4WD (4 Wheel Drive) for various conditions, so it’s important you invest in the right tyre brand and pattern to meet your expectations. 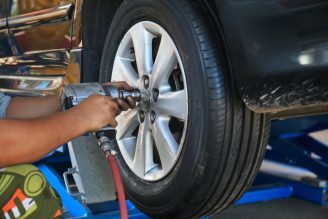 Choosing or getting sold the incorrect tyre can lead to years of frustration and possibly needing to change the tyre prematurely due to you being unsatisfied with its performance. For example, if you do 90% road driving then getting an All-Terrain tyre is not the best choice. Why? Because you sacrifice 40% of the tyres on road performance to gain 40% off road performance. 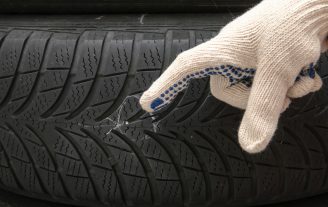 This can result in a noisy and uncomfortable tyre to drive on sealed road conditions for most of the tyre’s lifespan. We offer a wide range of 4WD/SUV tyres including All-Terrain (A/T) Tyres, Mud-Terrain (M/T) Tyres and Highway-Terrain (H/T) Tyres. We will recommend a tyre that meets your expectations and best suits the conditions you drive in. The most popular tyre pattern we sell in our stores due to the Queensland lifestyle and having the Islands and some great hinterland 4WD off road tracks on our doorstep. 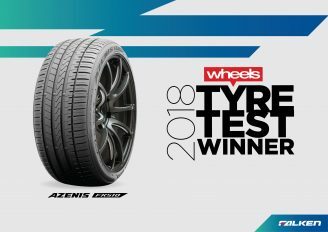 The A/T tyres have come a long way in the past few years in finding a great balance between 50% on road and 50% off road. The A/T tyre suits a driver that spend close to half the year in off road conditions. Most drivers that do around 30% off road, however, tend to choose the A/T over the H/T because they are willing to sacrifice on road noise to gain that extra performance when they do venture off-road. The second most popular tyre pattern we sell is the Highway-Terrain. 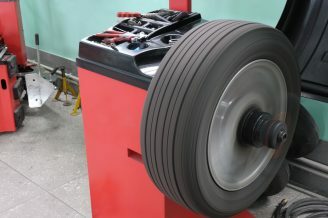 This tyre is suitable for the driver that uses the car predominately on the road. This tyre delivers a quiet ride with a closed tread pattern and compacted shoulder and tread design to minimise road noise. 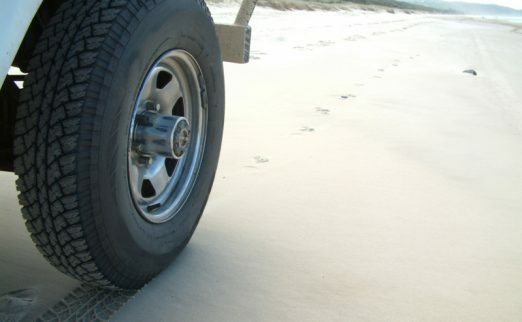 Generally, the H/T tyres will perform in the sand quite well. The Mud-Terrain is for the unique 4WD enthusiast that only tackles the off road tracks. The aggressive open tread pattern provides superb traction in muddy conditions due to the tread patterns being specifically designed for harsh off-road conditions. When these tyres are designed, on road handling does not play a part in the benefits and features. When a customer asks for an M/T specifically, you know they love a good off road track. We are not aligned with any manufacturers. 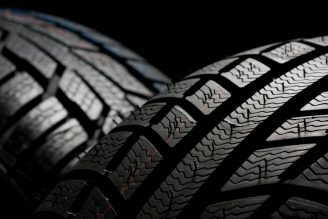 We sell tyres that we have seen personally meet customers’ expectations, and delivered on performance. This has worked well for us as we find that customers are happy to hand over their keys and ask for the exact same tyre to be fitted again. Our biggest sellers in the 4WD range have been Pirelli ATR, Toyo AT2, BFG KO2, BFG KM2, Hankook RT03, Hankook RF10, Nexen AT Pro, Nexen Roadian RH5, Sailun TerraMax A/T, Sailun CVR, Falken Wildpeak H/T. All of these brands have proven great value for money and excellent performance in their category across a wide range to suit customers’ budgets. What does one of our 4×4 services include? 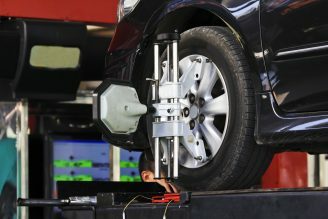 All our tyre prices include fitting, electronic balance, new valve and tyre disposal. We generally need the car for approximately 1hr – 1.5hrs.